Burpple Beyond Review: How Much Did I Save In One Month? Eating out in Singapore is expensive. Of course, I’m not talking about eating at hawker centres or coffee shops, where $10 can get a nice lunch for 2 people. I’m talking about dining at cafes and restaurants, where $10 is barely enough to get a drink and a small pastry. 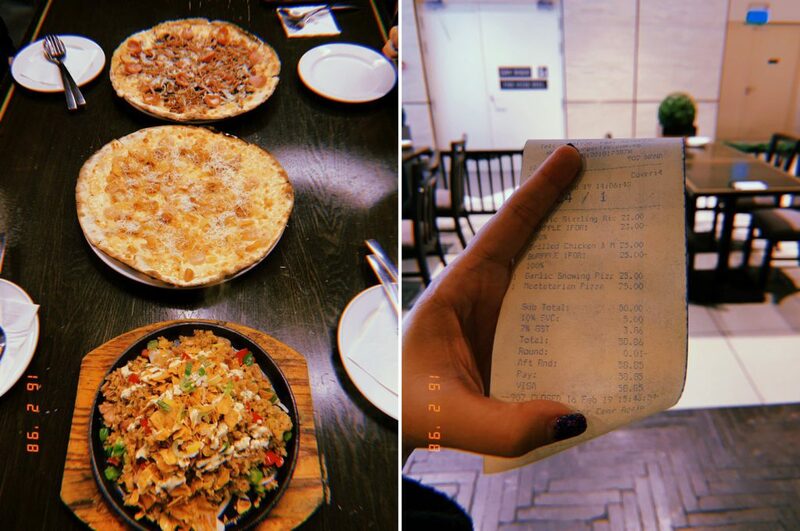 After factoring in additional fees like service charge (10% of the bill) and GST (7% of the bill), you can be prepared to fork out $25 and up per pax. But here comes the conundrum – how can a nation of self-professed foodies label themselves as such if they don’t indulge a little once a while? Here’s where Burpple Beyond wants to come in. 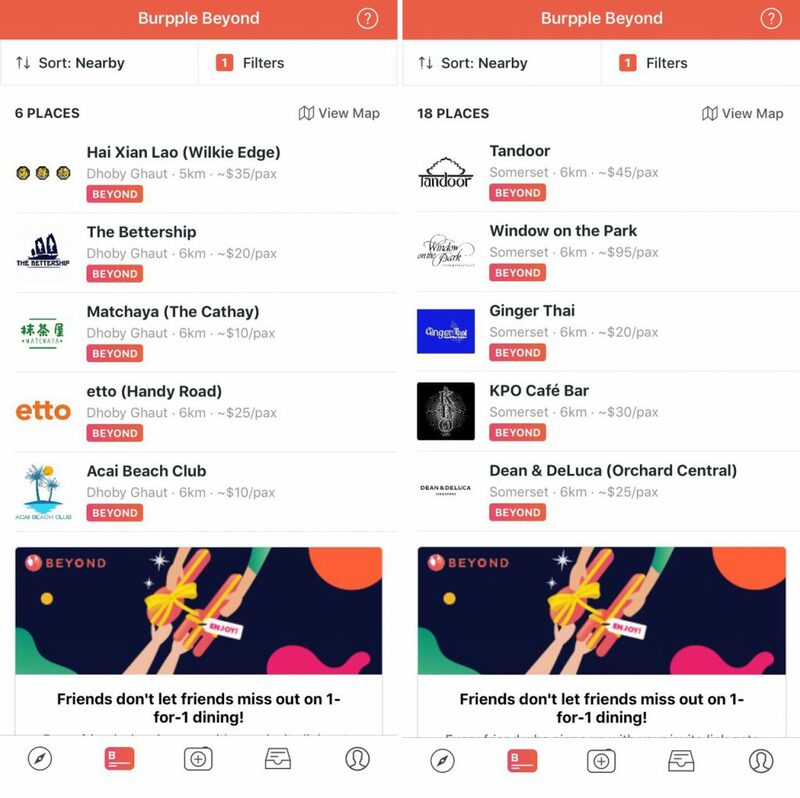 Burpple Beyond comes as an “extension” of popular food review and discovery portal Burpple, and lets users enjoy 1-for-1 deals at over 400 partner restaurants, cafes, and bars. Launched just last year, Burpple Beyond is reminiscent of The Entertainer, which too gives members 1-for-1 deals. 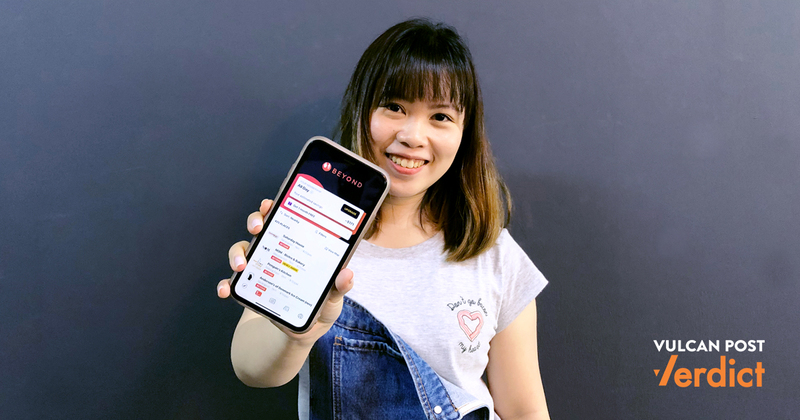 When I asked Burpple founder Dixon Chan about the differences between Beyond and their competitors, he mentioned that Beyond gives users a sense of flexibility by charging membership fees monthly, allowing them to cancel their membership anytime. “Over 60% of our users are aged between 25 to 44, and this flexibility is very important for them,” he said. Burpple Beyond doesn’t just aim to benefit consumers, but merchants as well. Dixon shared that the Burpple team had learnt about F&B businesses’ needs and challenges over the years, and realised that many struggled with attracting customers during off-peak hours. Thus, there’s the cheaper $4/month Off-Peak membership to cater to that. 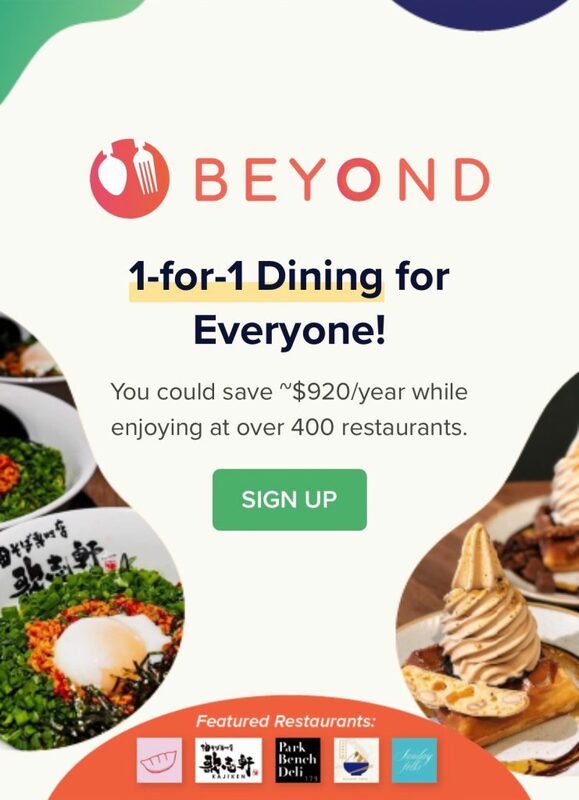 As a consumer myself, I felt that what’s more exciting is that members will get to save an average of $22 per meal, essentially ‘breaking even’ on the membership fees after one use. “The value makes immediate financial sense,” he quipped. Intrigued, I decided to try out Burpple Beyond myself and see how much I could save by the end of one month. Signing up for an account was a breeze, and I did it all via the Burpple app. 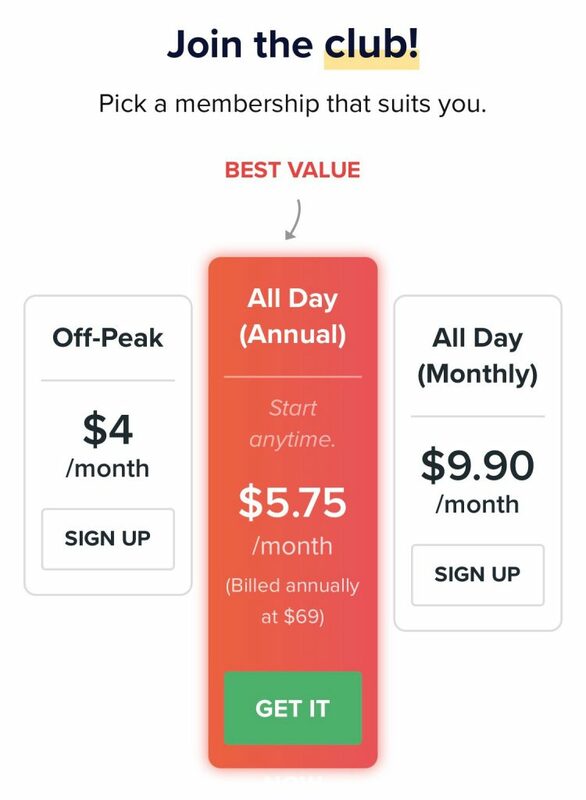 While the annual All Day membership ($69) makes more financial sense versus paying for the monthly All Day membership ($9.90 x 12 = $118.80), the latter gives one freedom to cancel anytime, so it’s really up to you. If you’d just want to use it for a few months (6 months and below, I calculated), you can opt for the more flexible monthly plan. If not, the annual plan definitely makes more financial sense. 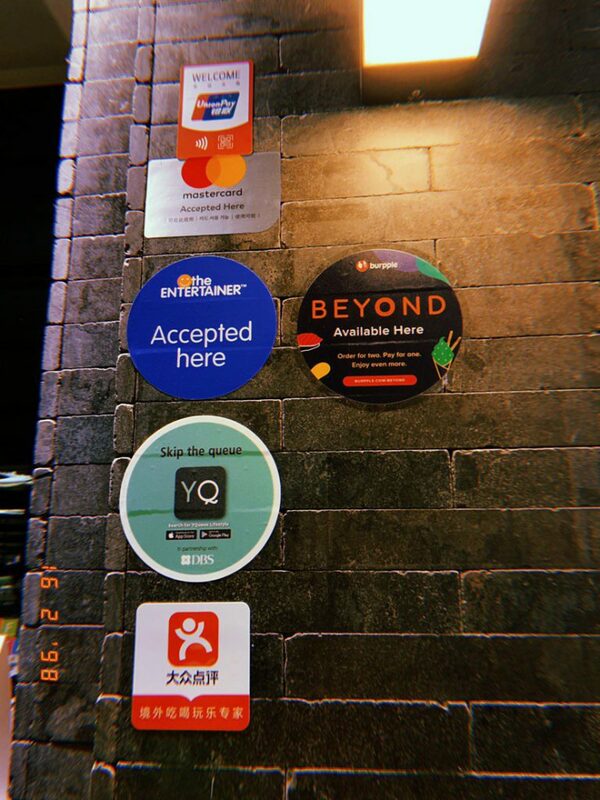 Once you’re signed up, you’ll be able to access the entire list of participating merchants under the Burpple Beyond tab. 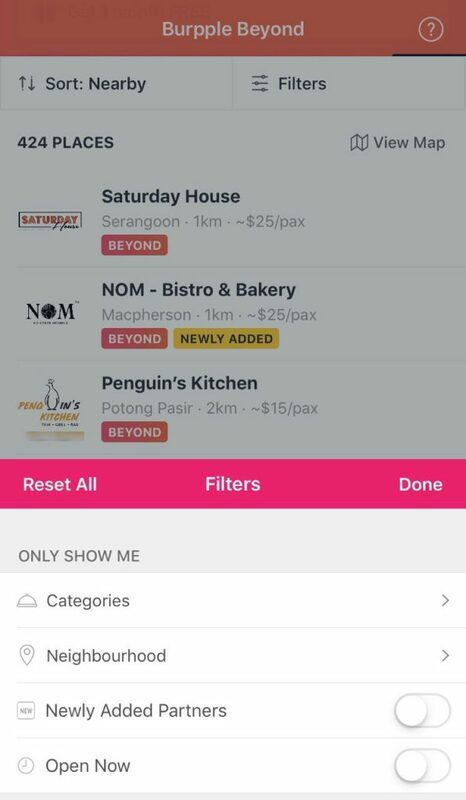 The merchants are sorted by how near they are to your current location, so if you’re browsing the list for a meal at another location, use the filters to narrow down your choices of merchants. Speaking of options, there’s a pretty decent amount of eateries on the app – around 400, according to Burpple. This is quite a big jump from the time of launch, when there were only 100 on board. From personal experience, I relied on the ‘Neighbourhood’ option the most. 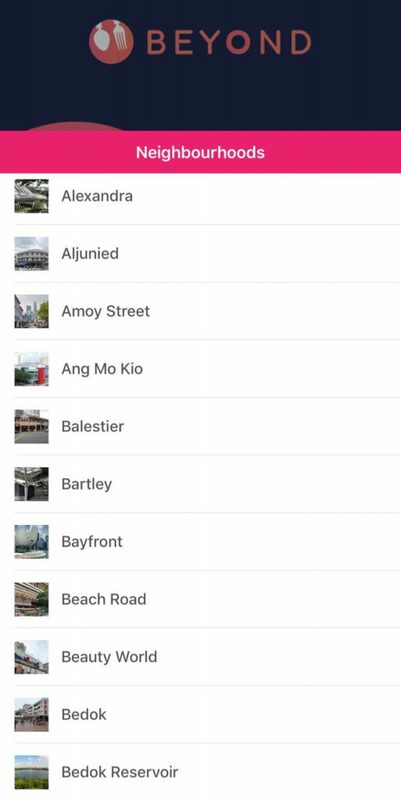 The list includes major streets, estates, and MRT stations, so there wasn’t a need to whip out my Google Maps at any point of time. One issue I faced, however, was that the filter wasn’t as ‘smart’ as I hoped it’ll be. 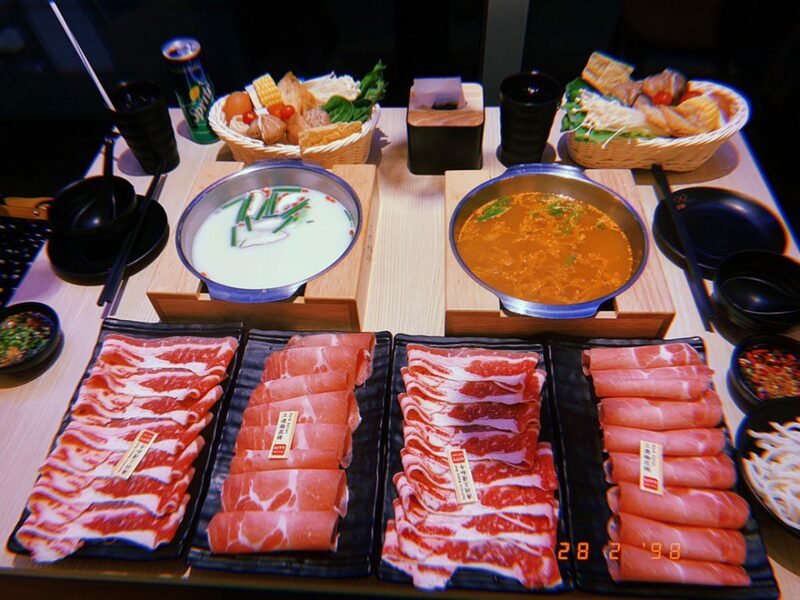 For example, the Plaza Singapura-Far East Plaza stretch covers stations like Dhoby Ghaut, Somerset, Orchard and has a plethora of food options just a few minutes’ walk from each other. However, I found myself needing to apply-remove-reapply location filters just to check all the options I could consider. Perhaps the app could include food places near to the neighbourhood selected to make this process less tedious. 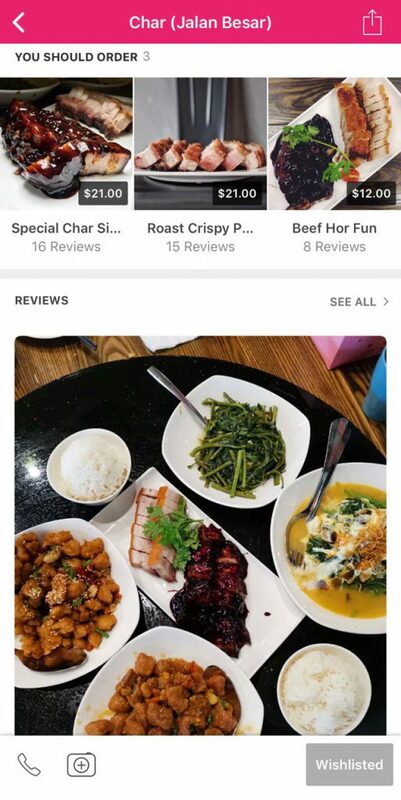 As for the ‘Cuisine’ filter, I found it helpful when my friends had cravings, but were also open to trying out new places in new areas of Singapore. In general, using the app was a breeze, and 5 merchants I visited were familiar with it. 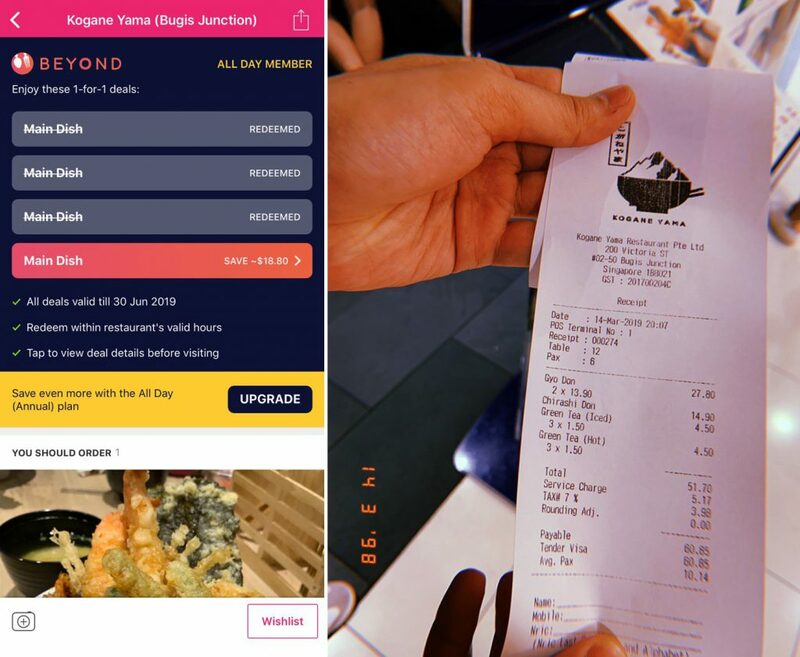 Burpple Beyond allows up to 4 redemptions per merchant and each come with their own T&Cs (deals are only for certain menu items, etc. ), so do check with the staff before ordering to avoid disappointment. At the end of my first meal, I had already ‘broke even’ on the membership fee, having saved $48 (1 x risotto, 1 x pizza) on a hearty lunch with three friends. 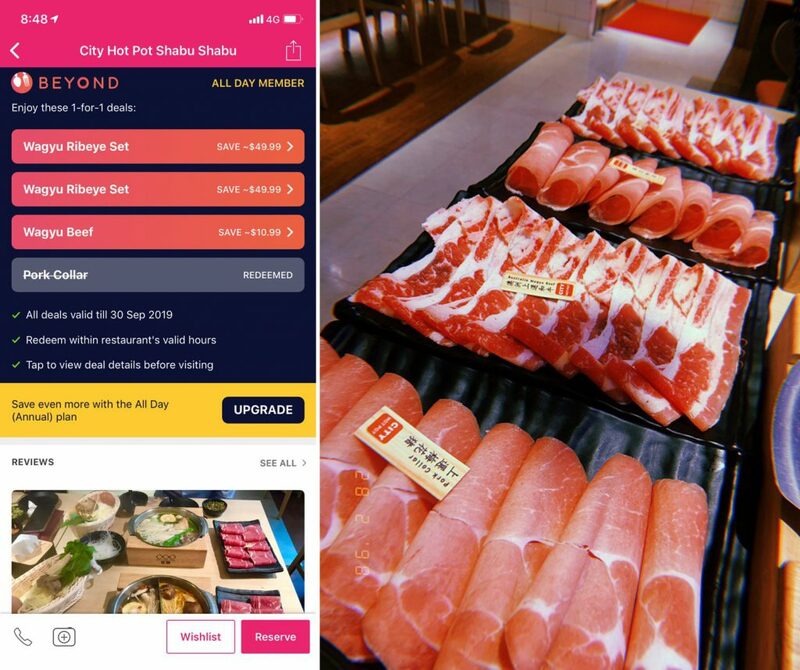 If you’re a hotpot lover like myself, you’ll be glad to know that Burpple Beyond can also be used for ordering portions of meat, like what I did at City Pot (One Raffles Place). The only complaint my dining companion and I had was that there was too much food! Given that there was only 2 of us eating, we held back on ordering the Wagyu Beef add-on ($10.99) and got the Pork Collar instead. Regardless, I still got savings of $8.99 – not shabby at all. 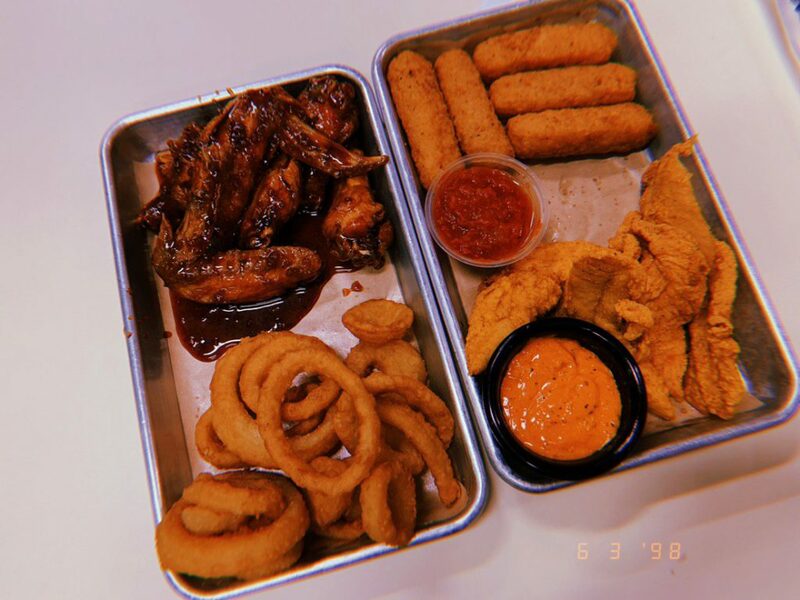 If you’re looking to order finger food for a party, Burpple Beyond also counts fried chicken restaurant Wing Zone a partner. 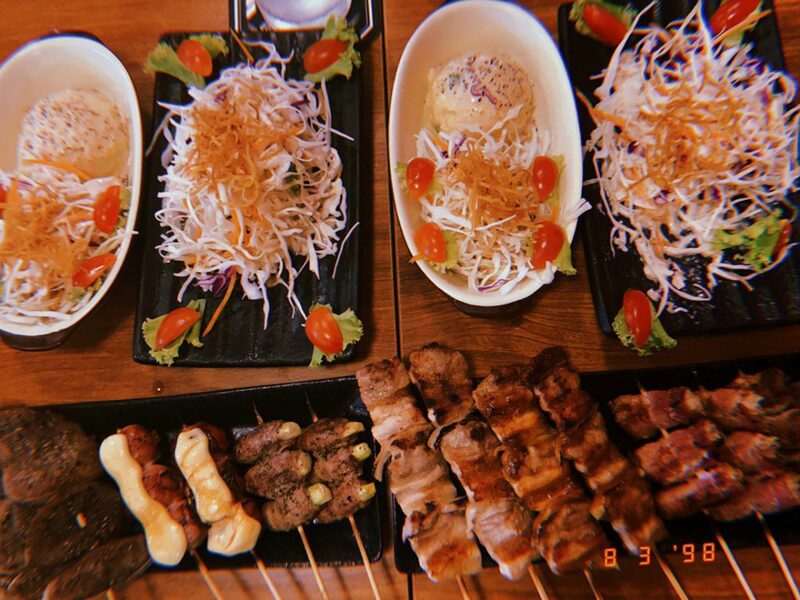 I’m a sucker for a great izakaya, and have a few favourites around Singapore. While browsing the list of Japanese cuisine eateries, Q-WA Izakaya along Beach Road caught my eye. With the app, I could redeem 1-for-1 sets, but this offer is only applicable to sets A, B, C, and D.
As the month-long experience drew to an end, I decided that it was time for a Vulcan Post team dinner. All 6 of us are fans of Japanese food, and we settled on the very popular Kogane Yama for a weekday dinner. 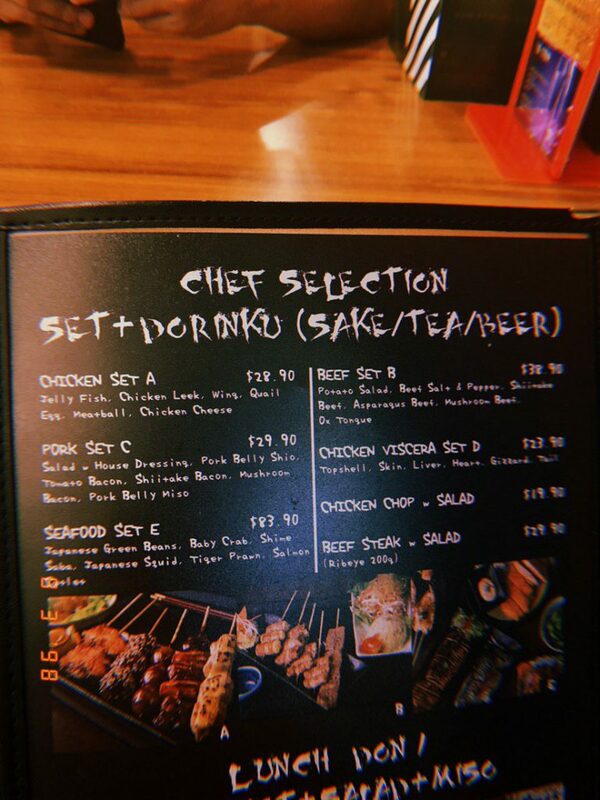 While we didn’t try its signature tendon, we were very satisfied with our orders. The most redemptions I did at one shot – and I still have one more left! The total bill still came to over $60, but imagine how much more it would have been without the deal! Verdict: How Much Did I Save In 1 Month? According to the app, I saved $171 in just one month! I’ve got to admit, though, I did end up ordering more items and/or jio-ing more friends out for meals just to feel like I’m using the membership to its full potential. Not complaining, though – the prospect of enjoying great food at lower prices actually helped me get over the inertia of heading out after work. Another thing I particularly liked about the app was how it integrated Burpple user reviews seamlessly. I’m someone who hates surprises, and hates bad surprises even more, so looking at reviews and photos taken by Burpple users really helped me make my dining decisions. The app also includes the menus of most eateries, and I appreciated knowing fully what to expect before making a reservation. Speaking of reservations, the app also lets users make reservations without needing to leave the app. Pretty handy. However, one thing I would ask potential subscribers to take note of is that the monthly plan is on an auto-renew basis, so unless you want to continue being on the plan, deactivate that option when you can! 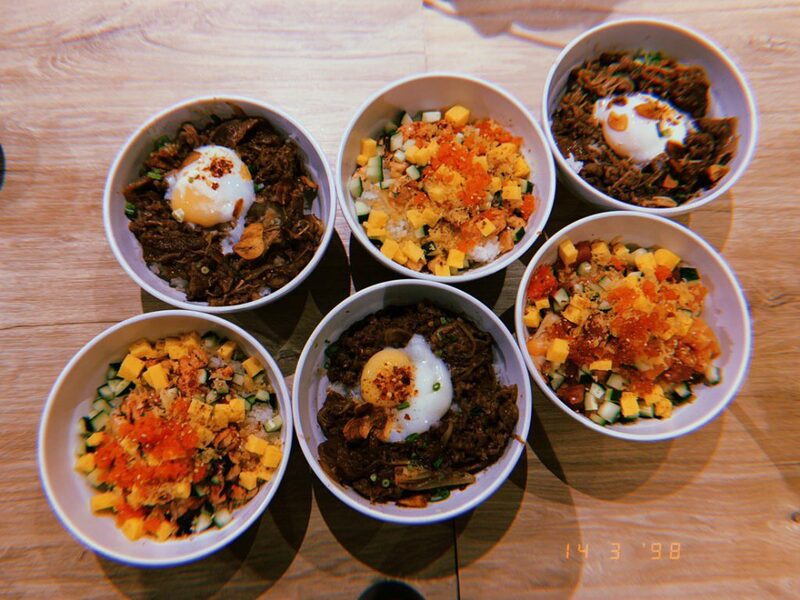 In short, I think that having a Burpple Beyond membership is very complementary to the lifestyle of someone who either has a lot of friends, or a lot of work contacts to catch up over meals with. That, or simply anyone who loves to eat, but also wants to be financially savvy while at it – pretty much summing up most Singapore millennials. Check out Burpple Beyond here. Disclaimer: The Burpple team kindly sponsored 1 month’s worth of the All Day Membership (worth $9.90) for this review. However, all opinions are entirely my own.